There is no denying that achievements in pharmacological technology have vastly improved the quality of life for most people today. Because of modern medicine, the average human lifespan has almost doubled in the last few centuries. Moreover, research surrounding the development of these drugs has led to a better understanding of what were once mysterious and elusive physical and mental diseases. Nevertheless, there are some downsides to the conveniences of pharmaceutical drugs. Arguably, the most concerning disadvantage is prescription drug addiction. 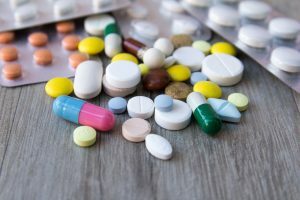 Prescription drug addiction and abuse are defined as the utilization of prescription medication in a way other than what a physician has advised. These drugs are taken in order to elicit a certain experience. In other words, people who abuse prescription drugs take more than what is recommended in order to get high. Often people who are prescribed painkillers, anxiety medicine and ADHD pills are more likely to develop prescription drug abuse and addiction. Prescription drug dependency is especially concerning since abusers often do not recognize that they have become addicted to these pills. Signs and Symptoms of Prescription Drug Addiction? Recognizing the sign and symptoms of prescription drug addiction is instrumental in beginning to treat the condition. The earlier it is detected, the better and quicker it can be treated. There are two general types of treatments prescription drug abusers can choose from when they decide to wean off their bad habit. Outpatient clinics provide initial rehabilitation for drug addicts and abusers without requiring residential treatment and tend to be the more affordable option. On the other hand, inpatient programs and residential prescription drug abuse rehabilitation centers offer more thorough treatment resulting in greater chance for long-term success. These programs can last anywhere from 1 month to three months, depending on the severity of the addiction. What Can Be Expected from Prescription Drug Treatment? His House prescription drug rehabilitation centers recommend starting the treatment with detoxification. A patient’s body is cleansed and weaned off of the drug of choice under medical supervision. At this point, the patient also undergoes examinations in order to determine the physical and mental damage the drug has done to his body. Doing so enables our specialists to provide specific and targeted treatment for the patient. Addiction therapy is often introduced following initial assessment and detoxification. During addiction therapy, underlying conditions and reasons for the development of the addiction are uncovered. This is an important step in treating addiction as it helps identify emotional triggers that can lead to relapse. It is also integral in developing necessary coping mechanisms in the presence of temptation. Relapse is a very real concern for people who have been addicted to prescription drugs. As such, outpatient treatment and aftercare programs might be advised in order to supplement the results of the residential prescription drug rehabilitation program. Call today to find out more.